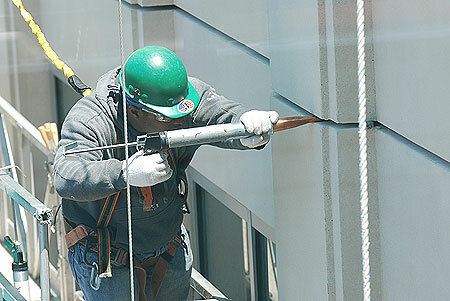 We provide caulking services for commercial and industrial customers throughout the Albany NY area. Call us today at 518-732-7234! DeBrino Caulking Associates has extensive experience, proven performance, and outstanding service in all areas of building maintenance and restoration. Based in Castleton NY, we serve commercial and industrial customers throughout Albany and the entire Northeast! This allows them to assist in all aspects of a project, whether it is an unexpected maintenance issue or something scheduled and routine. We work with architects, contractors, and owners, and we invite them to call us when they need assistance in problem-solving or if they are proactively seeking a progressive maintenance program.